Your stylish companion when camping or when having your breakfast coffee. 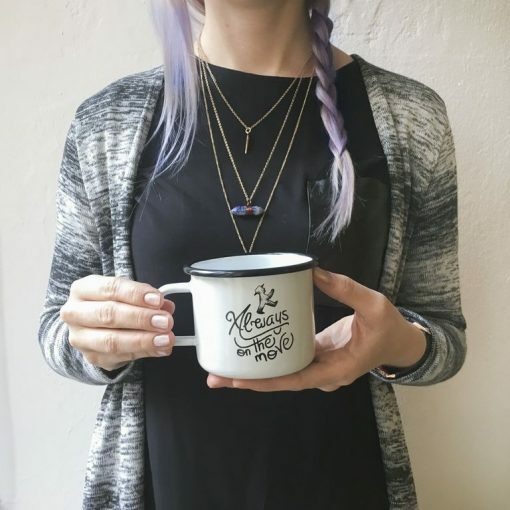 Enamel mugs are fireproof and can hold warm drinks -but this one will also warm your heart. True to the motto "Calm down & take it easy". Always on the move? The enamel cup CAMPER is a lovingly designed, stylish and robust companion. Perfect for your next trip around the globe or a picnic in the park.